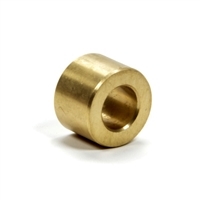 P/N ALL-38150 Steel dowel pins are approximately 1/2" longer than stock pins. Used when centering the spline drive. Power take off for the Big Block Chevy or (Small Block Chevy 1986 or older with the two piece rear main seal) with a standard flywheel. 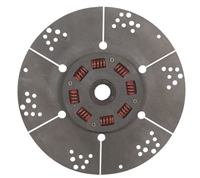 Power take off for the Big Block Chevy or (Small Block Chevy 1986 or older with the two piece rear main seal) with a Flex Plate flywheel. Power Take Off for the Big Block Chevy or (Small Block Chevy 1986 or older with the two piece rear main seal) with a "Flex Plate" flywheel. Power take off for the Big Block Chevy or (Small Block Chevy 1986 or older with the two piece rear main seal) with a "standard" flywheel. Power Take Off for the 1987 and newer Small Block Chevy with the (one piece rear main seal) with a "Flex Plate" flywheel. Power Take Off for the Oldsmobile 350 to 455 Cubic Inch with a "Flex Plate" flywheel. Power take off for the 331 to 460 Ford Big Block. Power take off for the stock flange on a Borg Warner 72 Series Transmission to a 1350 Series drive line. Power Take Off for the Chevy LS1 with a "Flex Plate" flywheel. Power take off for the NEW LS1 Chevy with a Flex Plate flywheel. Replaces the torque converter for your transmission in marine applications. Spline Drive for the Turbo 400 Transmission for marine use.